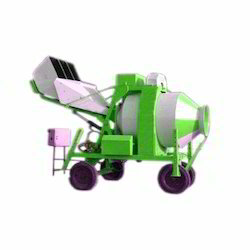 We are a leading Manufacturer of mobile concrete mixer and mini reversible mobile concrete mixer from Ajmer, India. Drum Blade Size (mm) 39"
We are offering Mobile Concrete Mixer to our clients. Weighing System: Load Cell base weighing system digital display batch controller. Jacks. : 4 Nos. Mechanical jacks.